I came across this heartwarming video on Facebook and just had to share it with you. It’s a must see. The girl in this video breaks my heart. She’s overwhelmed by the news that this family’s adopting her. 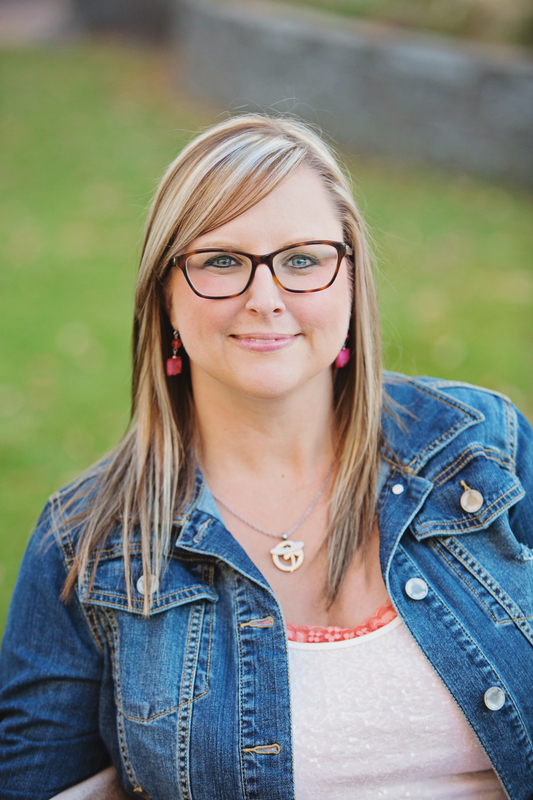 She’s waited years, and now she has a forever family. I can’t imagine being a teen and not having a family. All those struggles youth go through, and then to do it without any support and while carrying extra weighted pain. This father is right. His “foster” daughter deserves a forever family. I’ve been asked, “Why would you adopt a child who has special needs?” (I’m working on an article detailing my response, and I’m hoping a magazine will pick it up, if not you’ll be able to see it here at a later date.) Interesting question, yet I feel it’s one many ask silently, if not out loud. The answer: Because he deserves a forever family. I bawled while watching this video. So much of what the father said, I feel, even though I didn’t adopt a teen. I did adopt two children who began life without me. I adopted two children who had to go through the pain in this world without me by their side to carry those burdens for them. I cry because I wasn’t there. And then people ask why we did it. WHY? Because children are worth it. This teen is worth it. The child with Autism is worth it. The teen with cerebral palsy is worth it. The baby with a congenital heart disease is worth it. EVERY child is worth it. 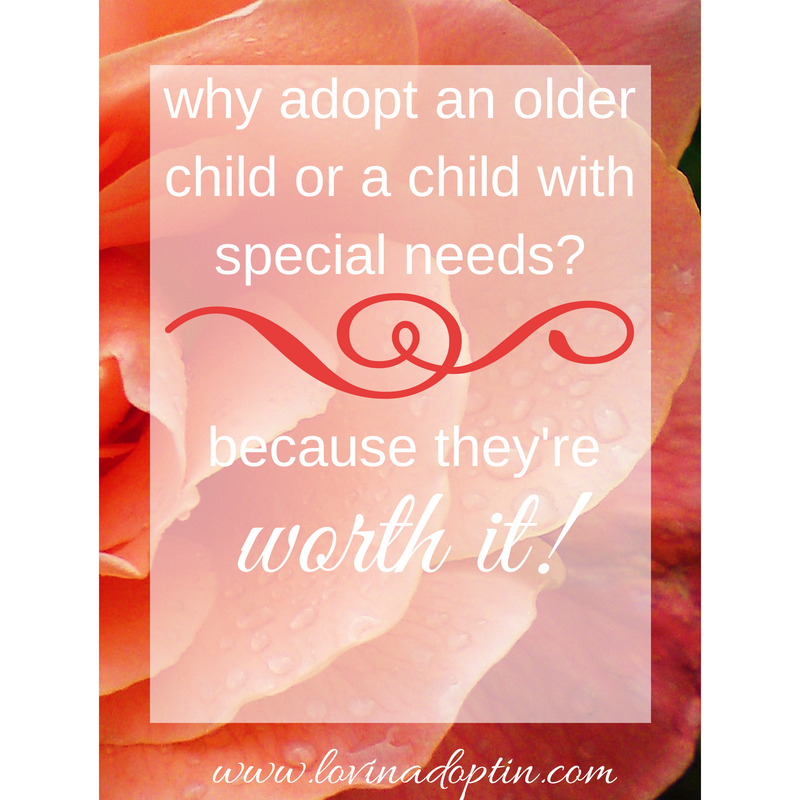 Have you adopted an older child or a child with special needs? How has it been worth it for you? This entry was posted in adoption, foster care and tagged adopting from foster care, adopting older children, adopting special needs children, joy of adoption, older child adoption, special needs adoption. Bookmark the permalink. Thank you. 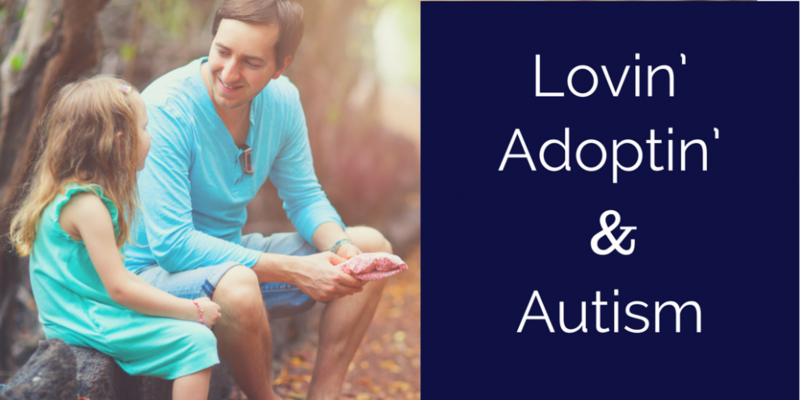 Thank you for writing about adoption and mentioning that adopting older children is worth it. We recently adopted a teenage boy, in fact his adoption was finalized one week before his 18th birthday. Many people have asked us why and we always say why not? Adoption was already a part of our lives (long story) and when we learned about this boy who we already knew, how he needed a place to live until he aged out of his guardianship, we said we would take him but wanted him to know we were his family no matter what happened. He was 16 at the time and we gave him the choice, either we would take over guardianship or adopt him, but made it clear that adoption was our preference. At 16, yes even at 16, he wanted a family and he said he really wanted to be adopted. We can’t imagine our lives without him. Is it always easy? No. Is it worth it? YES! We are all still working through his past hurts but I can tell you that seeing him grow into this loving, caring, intelligent, strong man that we knew was there hidden behind his hurts and protective wall, means the world to us. Awesome, I always love hearing adoption stories, and this is a great one. “Is it always easy? No. Is it worth it? YES!” So true.